An amazing way to explore! 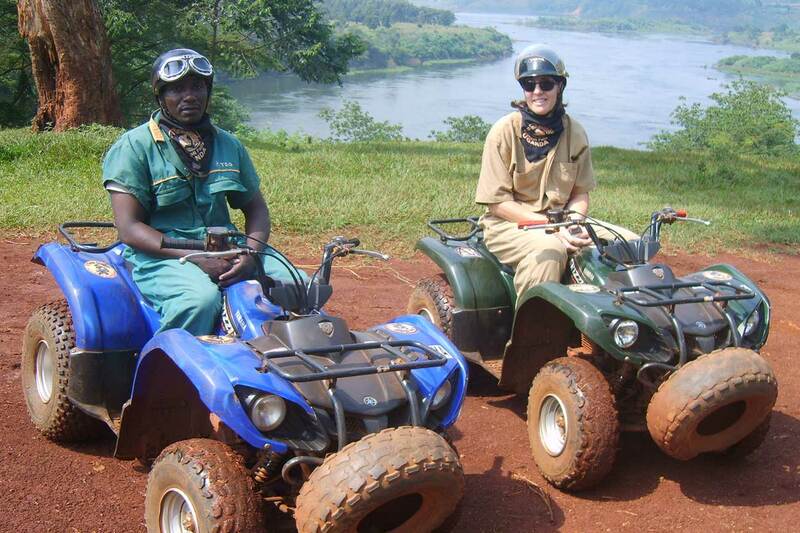 The quad biking safari has become one of the popular adventure sports at Bujagali Falls. If you’ve never ridden a quad bike before, don’t worry. No experience is needed as training will be provided. And once you’re confident, you can head off and enjoy this exhilarating activity. The biking trails take you through countryside, farmlands and forests near Jinja and around the banks of the river Nile. This is a once-in-a-lifetime opportunity to stray off the beaten track to see some of the Nile’s less visited places. The quad biking safari is also available in Lake Mburo national park taking you into the heart of the park to see some of the stunning wildlife.